Encore Beach Club | Diplo and Mark Ronson Release "Feel About You"
Diplo and Mark Ronson Release "Feel About You"
Wynn Nightlife Residents are far from being one-sided and usually dabble in a host of charitable endeavors, business ventures and music projects. Diplo, in particular, is definitely a prime example of being multi-faceted. He recently linked up with English musician Labrinth and chart-topping Sia to form a -"supergroup"- called LSD. In the midst of that collaboration, Diplo also joined forces with fellow DJ, singer, songwriter and producer, Mark Ronson to form yet another music group named Silk City. The superstar duo just churned out a new dance track called "Feel About You", featuring vocals by Swedish-American recording artist Mapei. The track has a euphoric and uplifting vibe that screams summer vacation. Mapei's vocals are perfect for the tempo and overall sound, creating a track that's sure to be a "start-your-day-off-right" type of playlist favorite. Get into Silk City's "Feel About You" on YouTube. 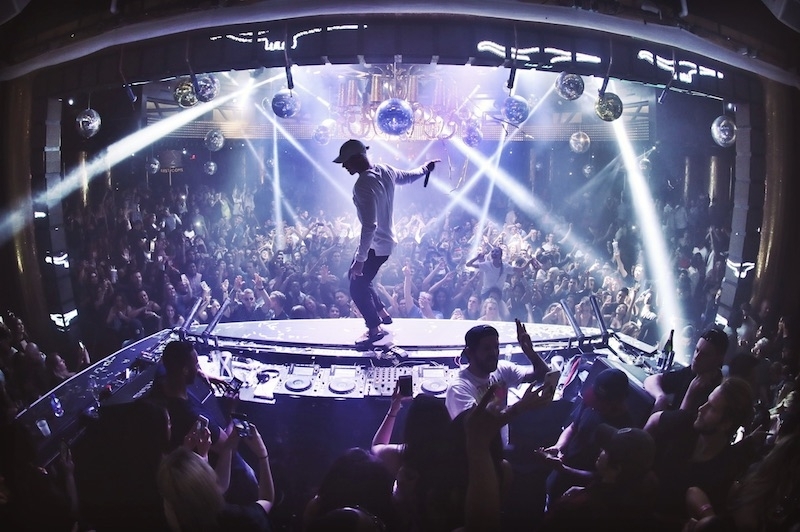 Grab tickets for Diplo at Wynn Las Vegas here.